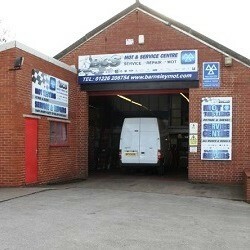 Barnsley Servicing Centre is your local specialist for all your servicing and repair requirements. 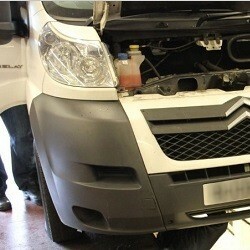 By using a specialist service centre rather than a main dealer you save money on labour and parts. Because of recent changes in the law your manufacturer warranty will now REMAIN INTACT if you use an independent business like ours for your servicing rather than a main dealer. In the past, motor manufacturers insisted servicing and repair work could only be carried out by a franchised main dealer but this practice has been outlawed under EU law – meaning you benefit from smaller servicing bills. SAVE ON LABOUR – you can save up to 60% on labour rates by choosing an independent specialist rather than a main dealer. Our technicians are fully trained to meet manufacturer’s requirements and all our work is guaranteed. SAVE ON PARTS – we always have your wallet in mind when selecting and ordering any parts your vehicle may need, and we will always source quality non-genuine parts unless you stipulate you would rather use genuine parts. SAVE YOUR SANITY – we pride ourselves on professional customer service. All our staff are trained to the highest standards of customer service. Any problem with your vehicle will be explained to you in language you understand and no work will be carried out without your authorisation in advance. WHAT WE QUOTE IS WHAT YOU PAY – we will always endeavour to quote an accurate price before we start, however if we do find additional requirements during the work, we will always contact you with an update before proceeding, so there will not be any nasty surprises in your bill.